Carpet, laminate or wood flooring? Home / flooring / Uncategorized / Carpet, laminate or wood flooring? Carpet Hub for carpets Bristol, wood flooring Bristol, laminate flooring Bristol. Bedrooms – getting up in the morning is never the most enjoyable of experiences, and this is only made worse if you have to step on a cold floor after crawling out of bed. With very few exceptions, carpet is the perfect choice for bedroom floors. Bathrooms – there is a temptation to go for ceramic tiling on a bathroom floor, but unless you have underfloor heating as well, then stepping out of a hot shower or bath onto a cold tiled floor isn’t a pleasant experience. Wood and laminate flooring is out of the question as the floor gets too wet, so your options lie with carpet or vinyl flooring. If you are slightly unsteady on your feet, we would recommend a rubber-backed bathroom carpet that won’t allow water to penetrate through. Otherwise, vinyl flooring is ideal for bathrooms, not as cold to the touch, and easy to both clean and dry. Hallways – this is a heavy traffic area and one which has to encounter dogs and children as well as adults with wet and muddy boots. Carpet may look nice, but is ultimately impractical. A nice wooden or laminate floor with a good-sized mat well is the perfect solution as both are easy to clean. Living rooms and dining rooms – there is something wonderful about a solid wood floor, but sometimes budgets can’t stretch that far. Laminate flooring is a good second choice, especially if you have pets or messy young children! 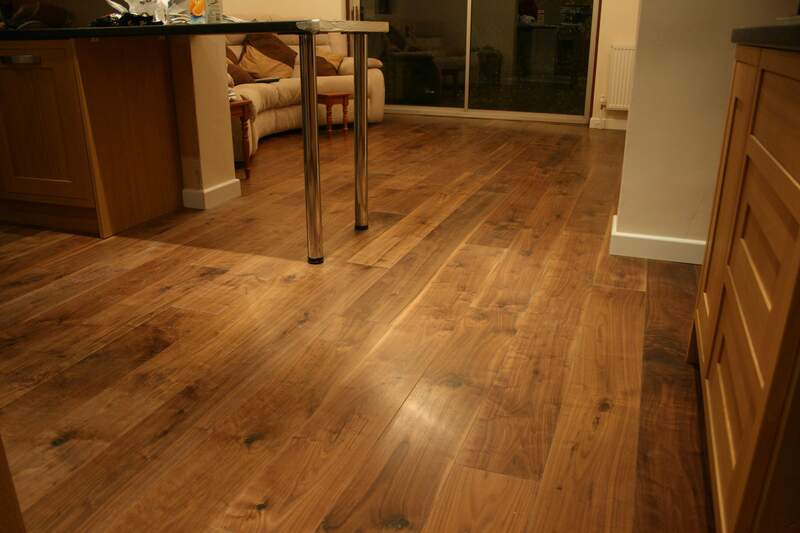 Kitchens and utility rooms – Because of spills and increased levels of grease in the immediate environment, laminate or vinyl flooring have to be two of the best options as they are easy to keep clean and don’t stain. Whichever way you are leaning, the best thing you can do is come in and see us or contact us here in Bristol and we will gladly come out and provide you with samples and a free quote for supply and fitting of your new flooring choice. Hi and thank you very much for your kind words. We do like to keep things interesting and updated on a regular basis! site unintentionally, and I am stunned why this coincidence didn’t came about earlier! some fascinating issues or tips. Perhaps you could write subsequent articles relating to this article. is written by him as nobody else know such unique about my difficulty. If you want to obtain a great deal from this paragraph then you have to apply such strategies to your won weblog. I might state. That is the very first time I frequented your web page and to this point?